If there ever was a time for Tom Ford to launch two new colognes, now was it. The relentless heat of summer appears to be continuing, well, relentlessly, and light, citrus-centric and floral colognes really are the genre du jour at this time of year. When the sun beats down indiscriminately in the sky and the muggy air really starts to the take the biscuit, the humble eau de cologne really is the only way forward. Of course, Tom Ford’s fragrances are generally contemporary and high-fashion twists on traditional themes, therefore any eau de cologne launched by the brand isn’t likely to be conventional. Just take Ford’s Neroli Portofino, for example – a vibrant and clean neroli-based cologne that does the unthinkable – it lasts, and lasts. Tom Ford’s colognes may tip their cap to history, but as with all things he touches, they are exceptionally modern. Much like last year’s Oud Wood Collection, Tom Ford is capitalising on the phenomenal success of Neroli Portofino to create the Neroli Portofino Collection. This capsule collection within Ford’s series of Private Blend consists of the aforementioned Neroli Portofino and two new colognes as stable mates – Costa Azzurra and Mandarino di Amalfi. One represents the early morning sun over a glimmering ocean, whilst the other is that same ocean scene as the sun dips below the horizon. Costa Azzura is immediately the least cologne-like of the duo, and it’s also the more interesting of the two. It opens fresh and slightly salty, hinting at the cool ocean in a pleasing and non-calone-filled (that oceanic ingredient popularised in the super-fresh fragrances of the ’90s) way. Sea foam, softly scented with dry, herbaceous lavender bobs along slowly underneath the surface, adding sharp inflections of deep warmth. A soapy floral heart merges with a deep base of sea-soaked woods. There’s a symbiosis between the sweet ocean water and the woods that suggests that these materials were made for each other. The saltiness of one compliments the sweet and herbaceous tones of the other, and the overall image is of dark waters filled with flotsam and jetsam, with a slug of gin thrown in for good measure. Costa Azzura acts as a bit of a surprise. It takes the idea of a fresh marine scent and turns it into something unconventional, rich and mature. To my nose, it speaks of a midnight walk along the harbour – the air is still warm, the streets in the distance are alive with festivities and the ocean is slowly lapping against the shore, washing up the driftwood and seaweed in a froth of pelagic foam. Right from the first spritz, it’s clear why Mandarino di Amalfi is served in the light blue bottle – it’s the glisteningly fresh, zesty and fruity addition to the Neroli Portofino collection and the odour it exudes is perfectly matched with the shimmering azure shade of the flacon. This is immediately apparent from the top notes, which are filled to the brim with juicy mandarin and bitter satsuma, creating an impact that is mouthwatering, refreshing and biting all in one go. This fruitiness lasts for an absolute age, carrying all the way through to the dry down. There are minty and herbaceous nuances in the heart that disappear and reappear throughout Mandarino di Amalfi’s development, seeking attention through numerous encores. As it settles into the base, a soapy orange blossom similar to the one found in the beautiful Neroli Portofino, provides a ‘sun-kissed skin’ vibe that gives the impression of lengthy sunbathing stints spent next to a luxurious infinity pool. Mandarino di Amalfi is an incredibly well-executed citrus cologne that has excellent lasting power and displays glorious fruity notes with wonderful tenacity. That is enough, in my opinion, to rank it as a worthy addition to the Private Blend line-up, but Mandarino di Amalfi is more than just a long-lasting eau de cologne, it’s a full-bodied composition full of herbal sunshine that is absolutely perfect for summer. What more could one ask for in this heat? 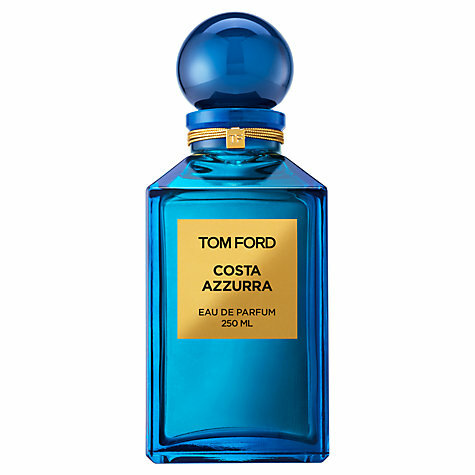 Both Costa Azzurra and Mandarino di Amalfi are available as part of Tom Ford’s Private Blend Collection in 50ml (£142) and 250ml (£330) Eau de Parfum. Samples and quotes via Tom Ford. Notes via basenotes.com. Image 1 via beautytalk.com. Image 2 and 3 via johnlewis.com. 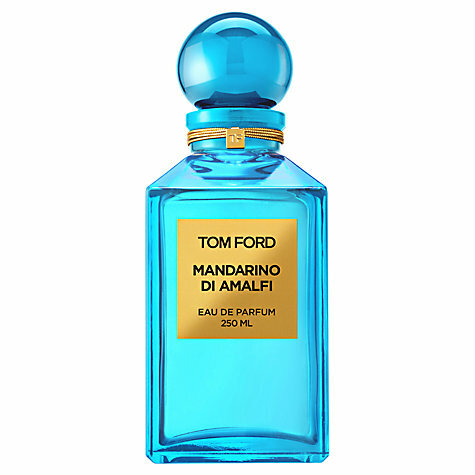 Posted in Cologne, Perfume Reviews, Tom Ford, Unisex and tagged Cologne, Costa Azzurra, Eau de Cologne, Mandarino di Amalfi, Neroli Portofino Collection, Tom Ford, Tom Ford Private Blend. Bookmark the permalink. Both these scents sounds lovely! I’m excited to test Costa Azzura. They’re both worth a sniff, for sure. I still prefer Neroli Portofino out of the three. Need to try both. Great review.